Line2 is the only App that lets you call over WiFi, 3G, or cellular using the same number. Now with unlimited SMS texting too. Try it free for 30 days, then just $9.95/month. iPhone users can finally make and receive calls no matter where they are - using VoIP when they can, and cellular when necessary - all from the same number. Line2 also turns an iPod Touch or iPad into a mobile phone with unlimited US/Canada calls and texts, plus low international rates. Set up your new Line2 phone number in less than 2 minutes. Pick a number and start making calls right away. You can even transfer your existing number for free after signing up. Line2’s texting is true carrier-grade SMS texting, with no per text charges and no special user names or email addresses required. Text as much as you want with any SMS-enabled phone, and get unlimited US/Canada calling, all for just $9.95/month. Sign up now and lock in our low introductory price forever. 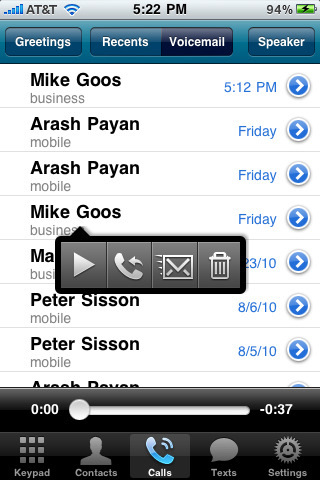 Reduce your iPhone bill, or turn an iPod touch or iPad into a professional-grade telephone with Line2. Line2 adds a second number to your iPhone with full iOS4 backgrounding support. Whether you are listening to music, browsing the web, or even on a call using your main iPhone number – you can still receive Line2 calls and texts. Use your Line2 number for your business or organization or just to keep your personal cell phone number private. Use Line2 to add a phone line to your iPhone, iPod Touch or iPad for just $9.95/month, or upgrade to Toktumi Unlimited and combine Line2 with our feature-packed hosted VoIP PBX service for just $5 more. Toktumi Unlimited includes free softphones for your PC or Mac, multi-number simulring, call handling customized for different caller types, call blocking, multi-line support, online voicemail and call history access, and an auto-attendant (“Press 1 for…”) - all for just $14.95/month. Monthly fees are billed directly to your own credit card – we never bill your iTunes account. You can cancel any time with no penalty. • The first and only Dual-Mode (VoIP/Cellular) Calling App for iOS devices for both inbound and outbound calling using a real telephone number. • Full iOS4 backgrounding support. 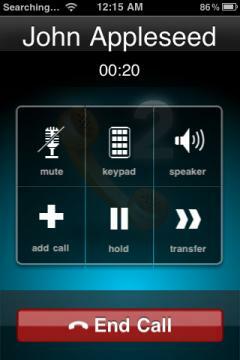 Receive Line2 calls while listening to music, playing a game, or even when you are on your regular iPhone line. 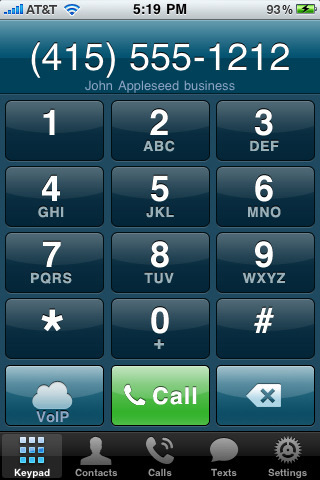 • The first and ONLY VoIP app for the iPhone that will *not* drop your VoIP call if you get a call on your regular iPhone line. Just dismiss the new call to send it to voicemail and Line2 will restart – your existing Line2 call will still be connected. • The first and ONLY VoIP app with advanced call handling features like call waiting, call hold, call transfer, and call conferencing for up to 20 people, all on your iOS device. • Live call switching between 3G and WiFi. If you are on a Line2 3G VoIP call and walk into your house, your phone will automatically switch the call to WiFi without dropping the call. · New Line2 free service with unlimited in-network calling and texting. · Fixed a lot of big and small bugs, crashes, and some general annoyances. 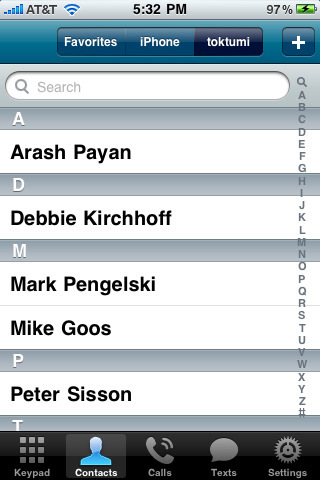 · SMS input box resizes as you type. I'm not sure about this app just yet. Give me a few minutes and I'll have to see abut playing.